Location: Lake Titicaca, Peru. 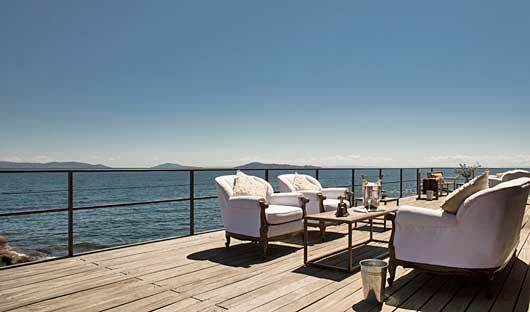 Luxury on the shores of Lake Titicaca. 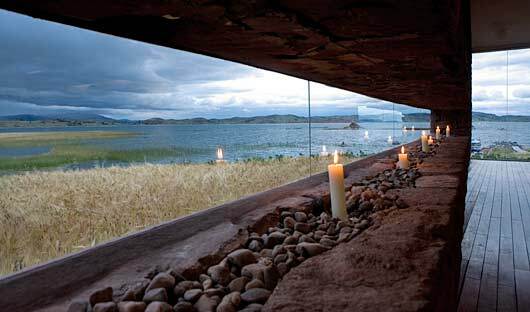 Situated on a secluded private peninsula overlooking Lake Titicaca, Titilaka Lodge is an all-inclusive retreat, relaxed yet elegant, its contemporary design created to harmonise with the stunning landscape. 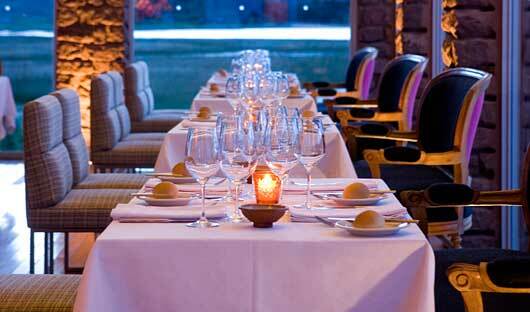 Don’t be misled by the minimalist exterior and remote location – this divine boutique lodge is unquestionably luxury. Its 18 Dawn and Dusk suites feature heated floors and spa bathrooms, with large oversize tubs and massage showers and each has an exceptional view of either the sunrise or sunset over the lake. And Titilaka offers its guests superb dining while wrap-around terraces provide the perfect vantage to enjoy sunset cocktails. 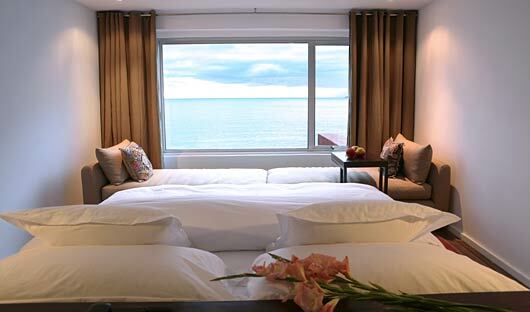 The Corner Rooms are 38-43 square metres with excellent views of both sunrise and sunset and a panoramic view of the lake are the most popular room category. 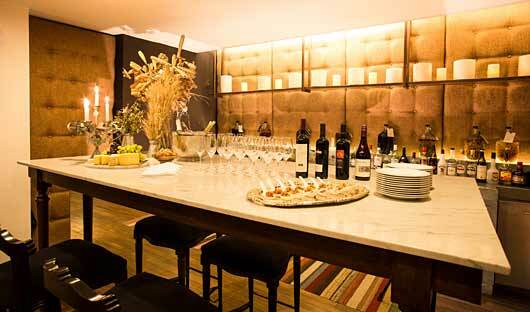 These comfortable suites are equipped with a divan overlooking the lake, a mini bar, iPod dock, safe, and table. The spacious bathroom has heated floors, a twin sink vanity, shower with bathtub and ecological bathroom kit and hair dryer. 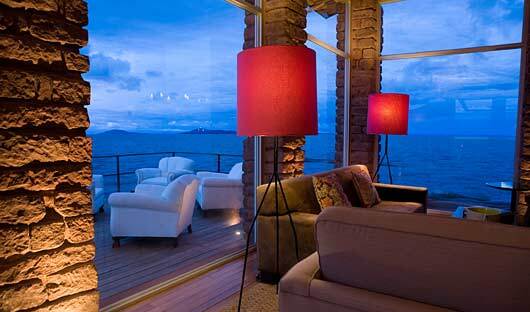 Dusk Rooms are 30-40 square metres and have exceptional views that show off the scale of Lake Titicaca. 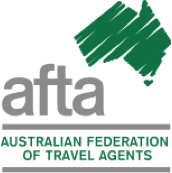 The modern facilities include heated floors, a divan overlooking the lake, a mini bar, iPod dock, safe, table, desk and coffee table. 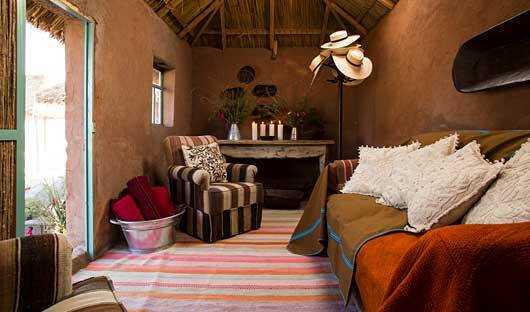 The bathroom is spacious with heated floors, a twin sink vanity, shower with bathtub, ecological toiletries and hairdryer. 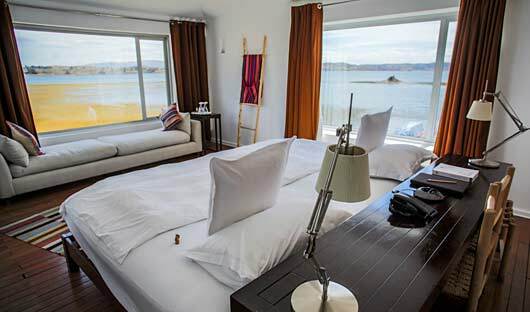 The Dawn Rooms are 30-40 square metres with magnificent views of Lake Titicaca. Enjoy heated floors, a divan overlooking the lake, a mini-bar, an iPod dock, personal safe, table, coffee table and electric kettle. The bathroom has a twin sink vanity, shower and separate bathtub and a hair dryer. 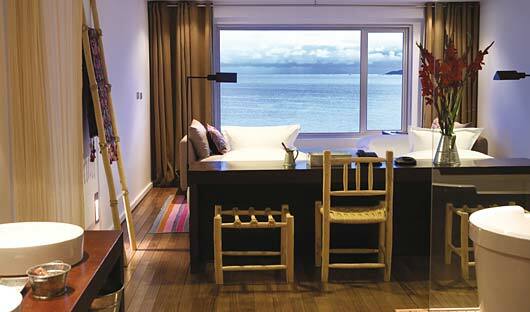 This comfortable room is 29 square metres with a spectacular view of the lake. 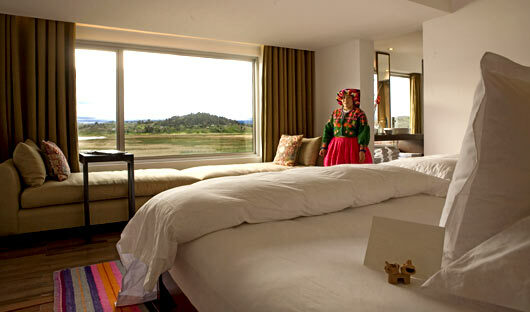 The room has heated floors, a divan overlooking the lake, a mini bar, iPod dock, safe, table and coffee table. The bathroom has a twin sink vanity, shower, ecological toiletries and hairdryer.